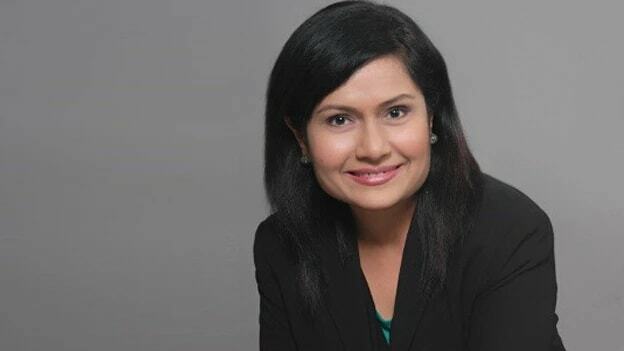 In a quintessential interview with People Matters, Nutan Singapuri, Senior Director - Human Resources, Asia Pacific at LinkedIn talks about the talent landscape of Asia, leveraging technology and the much-needed element of agility in organizations. Nutan Singapuri is Senior Director Human Resources, Asia Pacific at LinkedIn. She brings with her more than 20 years of working experience across industries. In the last 15 years, Nutan held various HR leadership roles in many large global organizations like Microsoft, GE Capital, Cargill, and SingTel. Prior to LinkedIn, Nutan was the HR Director for Area HQ Asia-Pacific at Microsoft. Tell us about the talent landscape of the Asian region. What do you think are some of the peculiarities of the region in comparison to other parts of the world? Asia is not a homogeneous region; it is multi-cultural, multi-generational, and has multi-geo-political and economic situations – both mature and emerging. Compared to other regions around the globe, Asia also has a complexity of many jurisdictions with talent management implications. The ability to grow talent and build sustained capability over time is crucial. Also, given the complexities of the region – having an agile, mobile and culturally adaptive workforce becomes important in meeting the talent gaps both regionally and globally. Asia has a growing representation of millennials. Any talent management strategy will need to take into account the specific nuance and aspirations of this population. Also, people have started to work for longer and if you look at countries like Japan, Singapore and China, reskilling and access to opportunities has become key to drive continued employability. We are also seeing the rise of Asian companies that are going global. This is presenting a different dynamic on talent availability and the evolving employer value proposition locally. The rise of gig-economy could have some implications for Asia in the future as well. It is no more about an employee having a unilateral relationship with one organization but with multiple organizations as advances in technology and infrastructure enable more options for mobile work and democratize opportunities. How do you see organizations in the Asian region adapting technology internally from a talent standpoint? The access to humongous amounts of data has made smarter decision-making possible through predictive insights on the most core decisions like building an organizational roadmap, workforce planning, talent churn, engagement etc. Hence, it is critical today to look at how we store, use, and prioritize the massive data around us. We also need to ensure compliance with GDPR. As more and more users start leveraging smarter technology like Artificial Intelligence or Machine Learning, our world of work will disrupt and new opportunities for creating outstanding employee experiences will emerge as companies compete for talent. The infrastructure that we are building today to support talent mobility and the talent equation will transform. Talent leaders are questioning as to what skills will be needed to sustain this transformation and at the same time continue to run existing business. It’s all about who can run many short sprints over a longer marathon. What challenges do organizations face in leveraging the power of technology especially when it comes to leveraging technology for talent internally? I think companies are continuing to adopt technology or looking at the digital space for help, either to drive better efficiency or effectiveness in their businesses. Our research has revealed that larger adopters of some of this digital change are coming from unexpected areas in Asia– like agriculture. We are starting to see spurts of industry adoption of digital that is going to accelerate enormously. However, the pressure is also going to come from bottoms-up with talent and more specifically the millennial generation pushing for not only more transparency, but also ease of use, ease of application, and just-in-time applications. CEOs will need to get a lot more adaptive and fast if they want to continue to attract that kind of millennial talent. Companies also need to have the right information at the right time to drive vital talent decisions. There is an urgency to connect some of the disparate talent management data/ systems i.e. hiring, rewards, performance management, employee engagement, attrition, succession planning to deliver real-time valuable information and talent insights. And with the access to large amounts of data, there is a continuous push to have smarter decision-making at a global scale in a responsible way. When we look at smaller organizations like startups, the agility factor is much higher than in larger organizations. How do you see larger organizations competing with these smaller ones in this war of talent? This is not a uni-dimensional problem. Large companies can be attractive to prospective talent if they want to learn how to drive an organization at scale and smaller start-ups offer talent the opportunities to be early adopters or be part of an innovation product cycle. For large organizations, building agility and growth mindset starts with building the right culture. One can still have an element of a startup culture or DNA built within large organizations. The CEO and the leadership team have a massive role to play in it as they are the common fabric that ties the geographically distributed offices and sets the right tone of expected attitudes, behaviors, and habits from their leaders, managers, and employees. What do you think leaders amidst digital disruption should be asking themselves? One would definitely be what culture do we want to establish as an organization going forward. And the other one would be, for us as a global organization, how do we build the agility and relevance to stay globally competitive and at the same time locally relevant in the regions we operate. And that is always going to be a pendulum that we need to strike the right balance on.